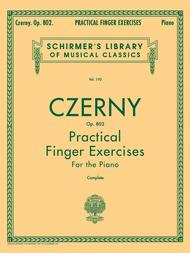 Schirmer Library of Classics Volume 192 Piano Technique. Composed by Carl Czerny (1791-1857). Edited by Max Rolle. Piano Method. Instruction, Classical. Softcover. 68 pages. G. Schirmer #LB192. Published by G. Schirmer (HL.50253360). Section II - The independence of each individual finger, while holding keys with the quiet Hand. Section IV - Thirds and other double runs. ever written for the development of the fingers. Before I started play these exercises, I used to sing the praises of Hanon, but Hanon is very basic in comparison to Czerny's Opus 802. 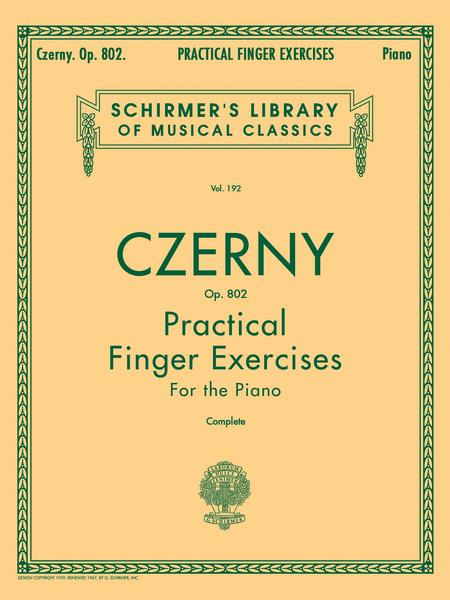 It must have been a joy to be a pupil of Czerny! July 25, 2008 Basic for fingers. Czerny's op. 802 is very interesting and very useful for fingers. It is basic for pianists, harpsichordists and organists. Everyone should play the exercices with appropriate touch of his own instrument (keyboard, piano, harpsichord, organ).